It’s very, very easy to make a video to document a weekend trip. All these photos were taken either on my iPhone or the iPad and produced on the free, or almost-free, iMovie app. 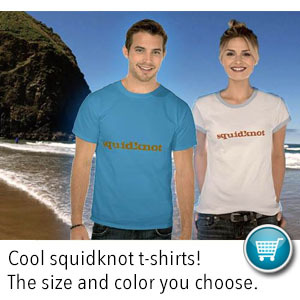 As you’ll notice, I like using Vimeo to host our squidknot videos. Nephew Ryan Ball and his mom make their squidknot debut. They must be very proud. I have been feeling nostalgic for Astoria and the people in the videos — and I don’t even know them! Great example of a video made from phone snaps.